The journey down was spent in silence as the wind and rain blowing mad outside made us think were we gonna get to fish at all. Thanks god but the closer we got the more the weather calmed. We got to the mark with time to spare, which was just as handy as I opened my large rig winder box to find nothing in it… great i’ll get tying so. With Joe’s box depleted as well, he was very kind to throw me a rig for my second rod after I had managed to get one together. 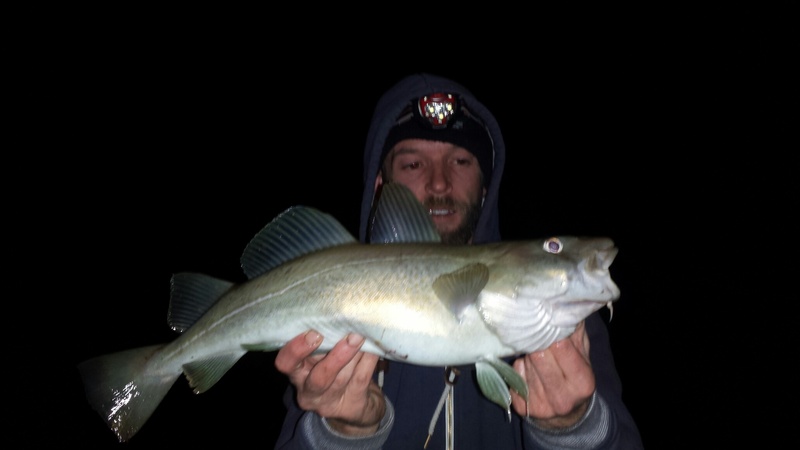 From the first cast Both Joe and myself had codling. The rigs were coming back weed free too which is always a bonus. 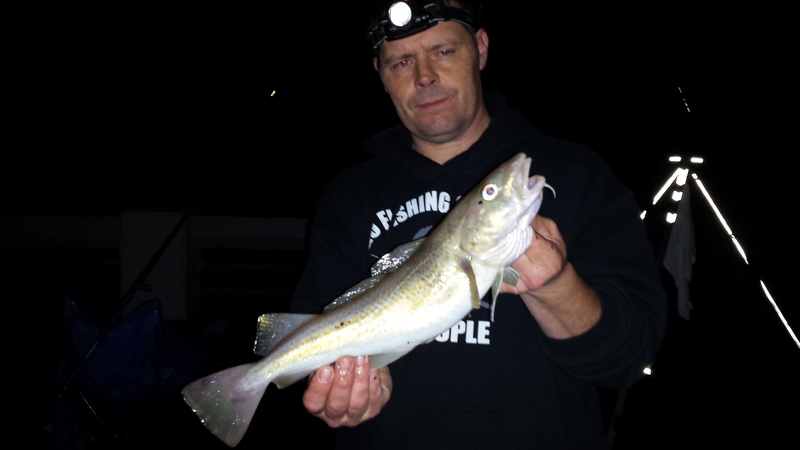 One rod would go then as you were unhooking and baiting up to cast the other would go. One after one, each crab got snaffled by a codling. We would take a quick pic and return the fish. We were happily going along when Joe’s rod got a fairly timid bite. Bending into this fish however was something much more decent. 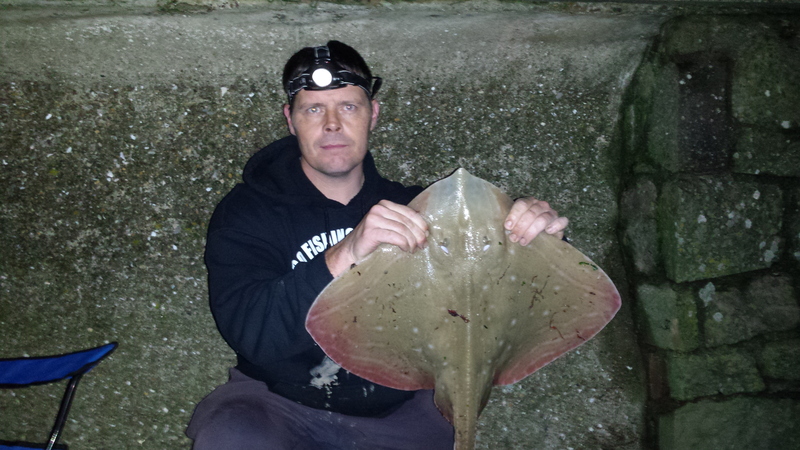 Joe expertly played the fish in and soon a good ray was on the surface. 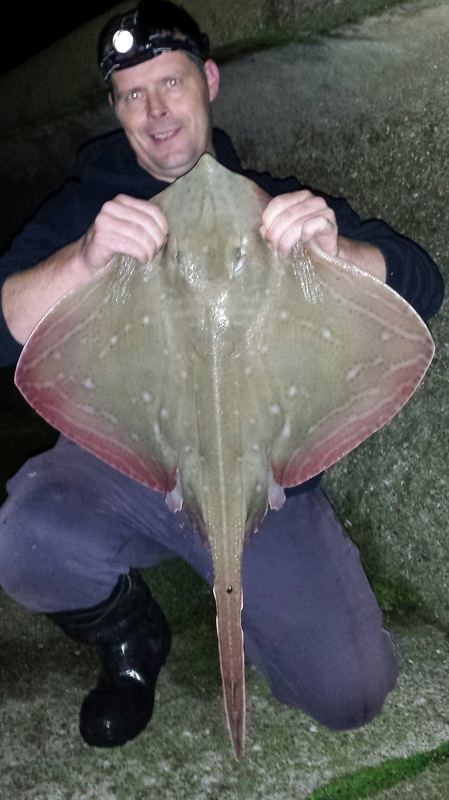 Absolutely over the moon, we got the fish on the scales to show it to be 10lb 3oz. With the fish safely released and baits renewed, we were off again. Next I got a cracker of a bite as the rod went mental. I got the fish in and it turned out to be a fine male fish of 8lb, which was not happy to have been caught. 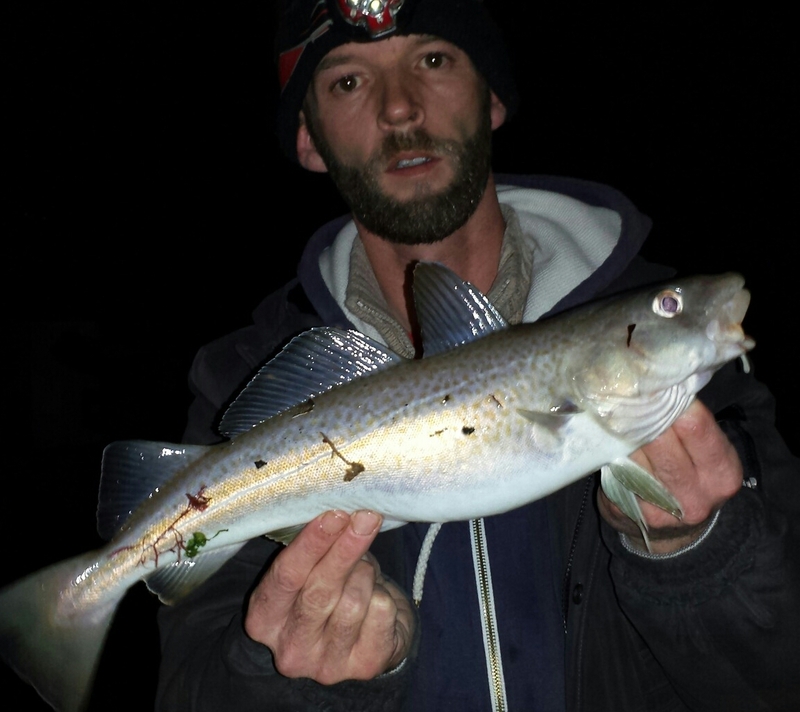 All the while Joe was banging in the cod and they were showing no signs of slowing. 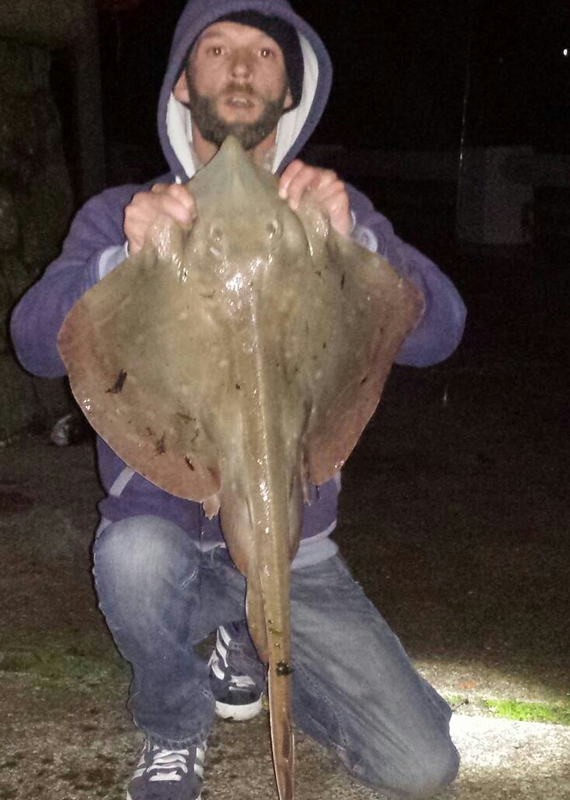 Joe’s rod went again and this time the rod bent double as it used the tide to it’s advantage but with Joe taking care the fish was soon in and this time the best fish of the night a 10lb 9oz painted ray. 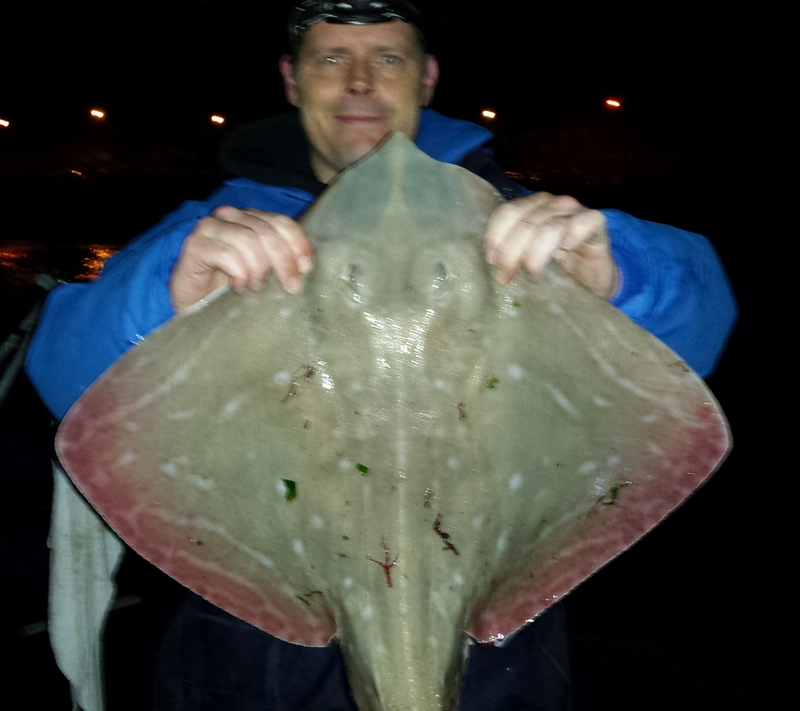 We had codling up to three and four pound, three painted ray for Joe including two specimens and an 8lb male for me. 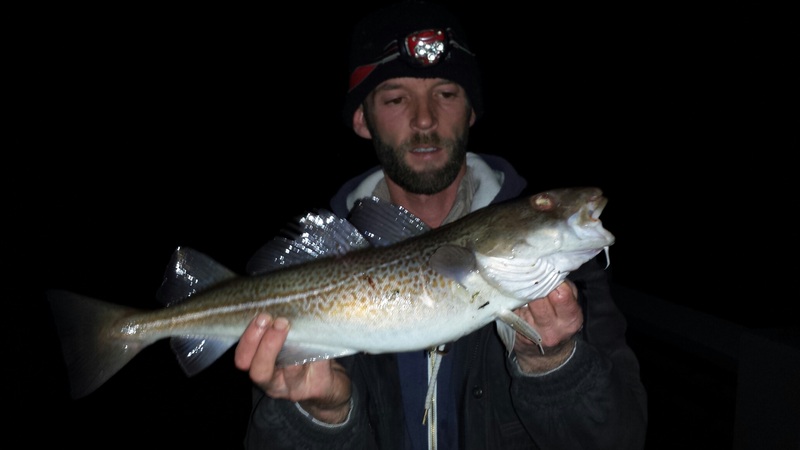 This entry was posted in Shore fishing and tagged cod, Joe White, Paddy Keogh, painted ray. Bookmark the permalink.